Are you looking for the best professional web design software? Web design software enables you to create web templates and designs in much less time. In the old days, you’d have to write hundreds of difficult lines of code to create even the most basic templates; but, with the advanced web creation software now on the market, anyone can build beautiful web designs quickly and easily. In this article, we’ll share the 10 best web design software that you can use to create website templates or full-fledged websites. WordPress is a simple and free opensource software. It integrates with the best drag and drop page builders to add features to your template. Whether you want to create a real estate website template or a business theme, you can use WordPress to generate any kind of website design quickly. 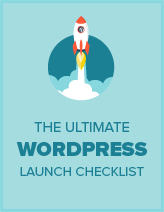 To save you even more time, you can also check out the best built-in WordPress themes. You can install a WordPress theme and edit it as needed. Each theme has a basic structure, and you can change anything in a theme like its colors, background, images, etc. WordPress installation is easy. You just need a domain name and web hosting to get started with WordPress. Once you set it up, you can explore thousands of themes and plugins that can help you make the web design of your dreams. Wix is a powerful drag and drop-based web design software. It’s a hosted solution, which means you can go to their website and create your web pages on there, rather than having to buy your own domain name and hosting. Note: You cannot download Wix web designs, but you can move your website from Wix to WordPress down the road if you need more freedom. The Wix editor is simple and intuitive. It allows you to quickly drag and drop elements onto your template. It also comes with ready-made web templates and blank web pages to build creative designs. Wix uses advanced technology to operate as a web building tool. You can start with a free account that has basic features. If you like Wix for creating your web designs, then you can upgrade to their premium plans for more features. Simply check out our complete Wix review for more information. Weebly is a popular web building and designing software. It can be used to create web designs for general websites and online eCommerce stores. It’s trusted by millions of users on the internet. Weebly comes with a drag and drop interface to create your web design in just a few minutes. Like Wix, it’s a hosted solution. It has powerful and fast loading options for web creation. The drag and drop feature makes it even simpler to develop your web designs without writing a single line of code. Though the free version of Weebly has all you need to make beautiful websites, you can also check out their paid plan for more features and options. For more details, read the complete Weebly review from our experts. Adobe Photoshop is a premium web design tool. It has tons of options to create and edit your web templates. It works with images and you can create the graphics for your web design. With infinite color and gradient options, you can make the best template designs. It gives you a blank canvas to bring your imagination to life. You can attach images, move elements, draw boxes, crop the edges, and edit your template exactly the way you want. It works with layers, which makes your job really simple. You can show/hide a layer to efficiently manage your web design elements. Adobe Photoshop is a highly advanced tool and you’ll likely need some training before you start. Once you know how to use it, you can enjoy the best experience in web designing. Adobe Dreamweaver is an advanced web design software. It comes with a screen to write code and design your web template. It also has a drag and drop section where you can create your web design with a live preview. You can use both features together, which means, when you write the code, you can preview it live on the Dreamweaver software. And, if you’re designing your template by dragging the options, you can go back to the coding screen to make your adjustments. It’s a great web designing tool for beginners to advanced-level users. You’ll need to have basic coding skills to use Adobe Dreamweaver. GIMP is a popular free web design tool. Like Adobe Photoshop, it works with images to create web pages and template designs. It may not have the same advanced features as Photoshop, but it comes with all the tools that you’ll need to build a beautiful web template. The software is available for all your devices. You can work on high-resolution images to create artwork, mockups, and web designs. Sketch is a web design software for Mac devices. It’s a professional tool focused on creating web templates and designs. It works with vector images, so you’ll get the best, highest-resolution results. The toolbar and options are very simple. Sketch gives you the full flexibility to create and manage your web design projects. It comes with a mirroring feature that allows you to test your web design template on multiple devices like a mobile phone or a tablet. That way, you can be 100% sure how your web design will appear on different screen sizes. Figma is a multi-user web design software. It allows you to connect with your design team to work on the same web template. It’s a smart tool to share a project with your client and make live changes on a template design. Figma takes web designing to a whole new level. It comes with fonts, colors, and other settings in its editing panel. The tools and options are amazing when used to create an icon or a complete web template. Figma has both free and premium plans. Canva is a free designing tool. It can’t be considered a full-fledged web design software, but you can use Canva to create interesting and attractive designs to support your web template. It’s perfect to build images that you can add to your web design. It comes with hundreds of templates that make your work easier. If you don’t have any designing skills, you can use a template in Canva and effortlessly build professional-looking images for your web template. Bootstrap is a popular framework used to create web designs and websites. It’s made for technical users to create front-end designs beautifully. It comes with the most advanced development features. The framework is powerful and can be used make web designs with HTML, CSS, and JS. It has pre-built web templates that work great with the Bootstrap framework. You can fully edit these templates to get your desired results. We hope this article helped you find the best web design software on the market. You may also want to check out our list of the best website builders for beginners.